Will no longer need to exist (is how I read it) - replaced by ninja mining Prospects. I love this, mainly because of all the tears from "passive income elites" who are now going to chase to either be poor OR (*GASP*) make room in their elite PVP only alliances/coaltions for dirty dirty Mining guys they will need protecting. We currently plan to phase out siphons since they don't really fit with the new system (there will be much more direct ways to steal moongoo). Siphons were a solid attempt at achieving a worthy goal, but for a number of reasons that particular implementation was doomed to extremely niche status. We think that overall direct spaceship interaction will be a more fun way of engaging in guerilla attacks against moon mining infrastructure. but might bring some torch & pitchfork at Fanfest. Once these are released, is the need for the POS gone? Will they get removed when refineries are released? Will there be some sort of grace period? What about POS stuff on the market, or in hangars? Something I'd like to request is that CCP release the structure/service module BPOs ahead of time and allow them to be built, but not anchored/used. Then on release day, return the rigs, allow anchoring, and people can play with the "new" feature on the first day. Hey look another change that will work well for nullsec with no thought at all for how it will affect low sec. But then again who cares about low sec. I'm sure the thrilling battle proc and skiff meta will be great for low sec. Could it be tweaked so a Large Citadel goes on a planet and have a rig/service to pull in one or two more chucks? I dont mind dropping citadels but the spam is getting a bit over the top. mining barges can steal from the chunk. That's what the infamous "stargate" from that fanfest trailer is for. 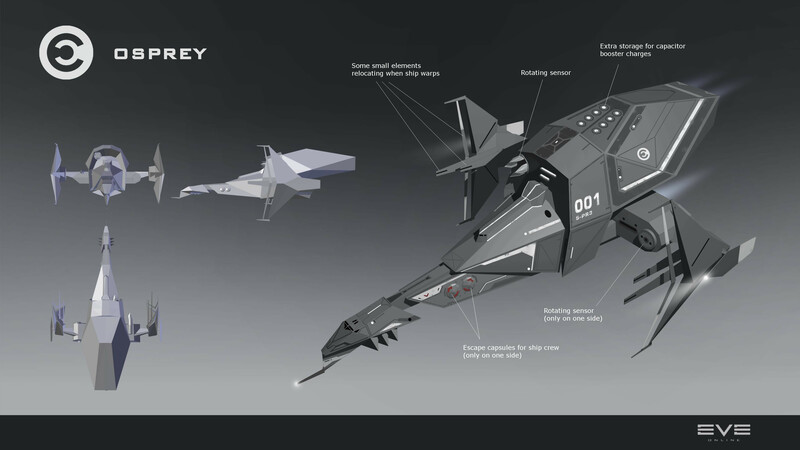 Alliance is not gana spend money on the fuel and refinery only to launch the roids into space and let the miners take what they can mine and go spend it on more crystals... alliance will need all the money it can get from the rocks to supplement srp and infrastructure costs. Even more so since it wont be able to mine nearly as many moons as they do now, so it will need every isk from the moon meaning you wont be getting a decent, if any, cut. I see internal diplomatic incidents waiting to happen. Once mined, there's no way to force someone to pay you a fee. This literally is asking for drama, and not the good kind, but the players/corps being kicked from their alliances kind due to the actions of the few kind. First, might I suggest causing the structure to put a "barrier" along the belt which when crossed will warn that a % fee based on the value will be deducted from the player's wallet (based on the owner's settings) at the end of every cycle. If they can't pay the fee the cycle fails and that's that. Allow this to be bypassed by a new form of the "siphon" units which allow entry undetected of the anchoring player. Entries show within the mining log as "unknown" but still have it log the stolen goods. These new deployables should be 1 shot deals which cannot be picked up and last for their duration maybe an hour, up to a day. Last point, simply due to the number of moons in existence, and the unknown size of the belts created (I'd assume along the lines of what we see in a small belt anomaly, this could take a lot of time even if you stagger them. The task of mining the materials will be daunting. Perhaps consider allowing the structures to still passively mine the material over the 1-2 week cycle that it takes for the next rock to be hauled up. That way once the new rock is there, the previous one has been cleared. This also allows for a constant amount of materials to continue to enter the market, but allows for players to speed up the process without actually effecting volume. Overall this is better than expected. Also, just wanted to point out that Querns is on fire today. I think a major misconception is that most line members have no idea what it costs to keep all of the alliance services up and running. I-hubs, upgrades, jump bridges/cynogenys, towers, citadels, and the physical items that go with these (towers/structures, fuel blocks, SRP, etc) all cost isk. I imagine at the big coalition level there's graft (every society has this problem) but at the small/medium alliance level it's a struggle to make it month to month, especially in a war where SRP demands skyrocket. with mining a moon i assume over time the moon its self will deplete and disappear ? or like all asteroid belts will it replenish its self each day or cycle of the refining ? Stop introducing more structures that require rigs using raw materials that are already too scares on the market to support! Reduce the number of raw materials on rigs for these structures, there is no balance. It's obvious that CCP - you - designed the Upwell structures to need rigs for max efficiency. In thinking that you wanted to provide "profitable" content to salvage players, you made the rigs require a "stupid" amount of raw materials. This thinking would lead to more salvage content to balance the market because of demand - profit follows the player. However, that has not happened and your flawed thinking has resulted in a severe deficit in raw materials. This proposed change follows the exact same flawed thinking - people who do not mine for content will not change their play style just because it becomes more profitable. This one change can/may/might collapse the game market and lose players from being priced out of play style. It's not like there is an army of salvagers all of a sudden? Why would there be an army of miners to mine rocks and not tears? Make these structures like a movable ships you can anchor and call them Mooncrackers. Suggestion: Make it so that you can only detonate the moon rock during your vulnerability timer. This will cut down on the time zone tanking because people will need to set the vulnerability window when they can field a fleet. Glad to be able to get this ball rolling and start bringing the community into the early process of developing these structures. We're releasing these blogs now so that we can focus Fanfest on listening to you folks. We also look forward to hearing from you all in this thread. "2nd question i have is what will happen to those who have bases on planets will the refining in future go onto these and if so will those with planet bases get a free upgrade :-) ? Maybe your alliance won't let you keep the goo from refineries. 1. I don't like the generic tied to sec status mechanic for moon minerals, enough other mechanics are tied to sec that it is nice to have some other conflict drivers. 2. Opening up moon mining to wormholes seems to make sense with the activity requirement. 3. will be interesting to see the numbers, a while back when ccp changed the numbers they created a tech bottleneck and allowed for a ton of market speculation. So another nail in the coffin of small miners / manufacturers? Surely this means players will need to join a large Corp or get into another line of business. Can you tell us what will happen to mobile siphon units? can we use these on refining facilities? You can siphon by going to someone else's belt and ninjamining it. You'll even get a lot more profit from it than the utterly pitiful amount you get from siphons currently. not to mention the pvp opportunities that arise while they mine it. seems the move to an active system negates the whole concept of siphons. > We will be issuing appropriate compensation for owners of any rigs that have their build costs reduced. Someone please check if CSM profiteers have manipulated this market and bought a massive amount of rigs 3 days ago as well. 3) will currently 'dead' 'resourceless' moons be given materials? Exciting stuff. Maybe a few rough edges that I haven't caught on to yet, but the overall plans look very promising. I'm especially surprised at the amount of 'logging' features you're putting in from the start. Very nicely thought out and no doubt useful for the large empires who control the majority of the moons. 1. Will Rorquals be able to mine moon fields? If so, will they get new types of Exhumers? 2. Will barges and exhumers receive new laser modules/crystals for these new ores? This is exciting news. I am all for the new interactive moon mining. I won't be mining at all lol. I'm a Ratter. But don't let that stop your whining. its all buy-in.. just as before shall it be the future.. all pos's must go and folks must buy this new stuff.. as for reimbursement thats a huge subject which im sure fozzie will not dive into just yet ( due to fanfest coming up and it primarily being seagull's subject item i assume). so much so little time.. grab some popcorn and prepare the threadnaught.. this is gonna get goooooood! I actually agree with keeping moon goo out of wormholes. While it'd be nice, it'd also encourage the more powerful K-space groups to move into wormhole space. The ice requirement is hopefully modest, as ice is the single most annoying thing to replenish in wormhole space, since ice belts only appear in shattered systems. Recommend allowing moon mining on barren moons, including in wormholes, but it produces mineable ore and/or ice asteroids. Mining ops in wh space is treacherous, but this would go a long way to dealing with unpredictable ore anomalies.